A wet summer has meant planting is in full swing in Northland and Auckland. Rural design is currently working on a variety of projects aimed at ecological restoration of our catchment areas. The ecological team is working hard to assess water quality in the Kaipara region. Assessing waterways in our region for diversity and quantity of native fauna. The image above demonstrates how humans implement modification (drainage culvert) without thought for the consequences on other species. 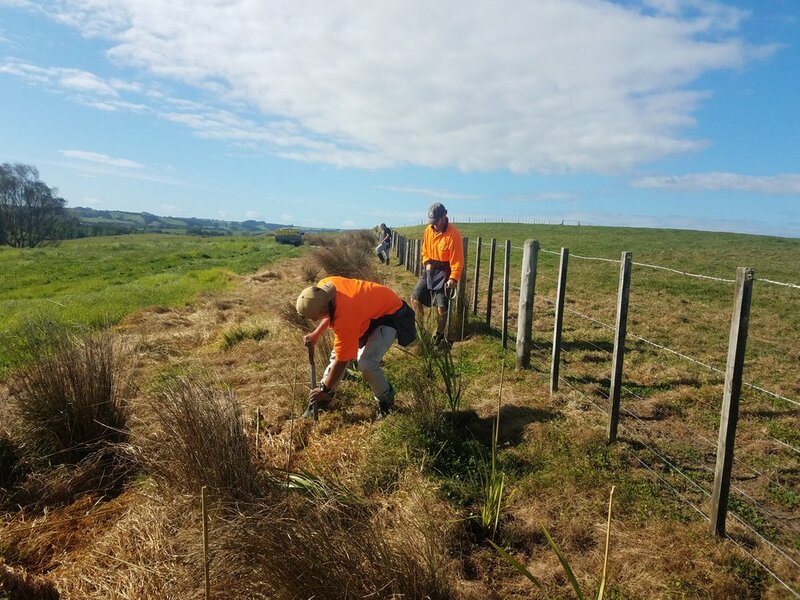 In April we have been planting at a variety of locations, including Oneriri, Helensville, Riverhead, Te Arai, and Kaiwaka. It has been a long summer of maintenance and the team has been itching to get into planting. Riverhead Planting along the riparian margin. Big trees going deep into the Te Arai sand.